It has been argued that the presence of multiple species of marsupial mammals isolated to Australia and surrounding islands offers strong evidence in support of evolution. This argument is based on the assumption that the only explanation is that they evolved from a common ancestor, despite the fact that there is no proof that any Australian marsupial mammal is actually ancestral to another. An overlooked factor in evaluating the distribution of species is the history of the earth, a great deal of which is unknown. Most geologists believe that continents and large islands were once connected. Massive extinctions have occurred during various time periods. The causes of these extinctions are subjects of debate. Likewise, the ecological impact of various extinctions remains unknown. One conspicuous aspect of Australia is an absence of large predatory animals, which might have enabled some species to survive that might have become extinct elsewhere. There is no proof that animals confined to certain regions of the earth have always been unique to those specific areas. The confinement of certain groups of animals to Australia does not prove that they all evolved there. Kangaroos may have survived there and become extinct elsewhere due to differing ecologic systems, the history of which remains unknown. Given the commonality of extinctions documented in the fossil record, it is expected that many isolated areas of the earth such as the Galapagos Islands would harbor unique species, given their peculiar ecological characteristics. The observation of geographic distribution of species is an argument based on inference rather than actual evidence. Its use is indicative of a restrictive viewpoint within the paradigm of evolutionary thinking. Most arguments that biogeography points to evolution are centered around changes created by natural selective breeding. For example, three species of zebra are confined to Africa. Thirteen species of Galapagos finches have been described, which are distinguished by beak size and shape. There is no debate that natural selective breeding can occur. In Origin of Species, Charles Darwin gave elaborate explanations as to why the geographic distribution of species proved an absence of intelligent planning. He cited numerous experiments documenting that coconuts could survive and reproduce following long exposure to salt water, how small seeds could be transported by birds to remote islands, and how various insect species could have been transplanted through natural means. Much of Darwin's logic was founded on religion. Example after example was given of differing species in geographically separated regions of the world. In explaining the lack of terrestrial mammals and amphibians on oceanic islands, he concluded that such an observation was "utterly inexplicable on the theory of independent acts of creation", because he considered it unreasonable that such creatures would be excluded from those environments. Although small tropical islands might seem like ideal habitats for frogs and small terrestrial mammals, it is not obvious that such creatures would fit into such unique and limited ecosystems. Even if they could, judgments as to whether or not it would be unreasonable for a creator to not equally distribute life all over the planet fall into the realm of philosophy. Dr. Jerry Coyne, professor at the University of Chicago, argued that the absence of amphibians and terrestrial mammals on oceanic islands was inexplicable by a model of intelligent design. He pointed out that the mongoose and the cane toad are "currently destroying Hawaii", and used this as evidence against God. In this bizarre line of logic, his arguments implied that had the earth been intelligently designed, God would have put toads and mongoose in Hawaii, despite the fact that they are hurting the ecosystem there. In presenting biogeography as evidence for evolution, invariably selective evidence is presented. Many observations in this area of research contradict the hypothesis of evolution. No evolutionary explanation can be given, for example, as to how 800 pound tortoises first arrived in the Galápagos Islands, which are located 600 miles from the nearest continent. 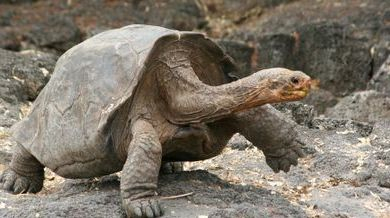 Large tortoises are also endemic to volcanic islands in the Indian Ocean. The existence of huge extinct flightless birds in New Zealand (moas) is an equally mysterious observation. 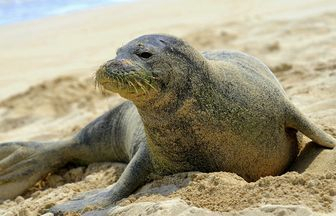 The presence of monk seals in the Hawaiian Islands is unexplained through migration patterns, not only because of the great distance between the Hawaiian Islands and the nearest continent, but also because the monk seal's closest "relatives" are endemic to the north Atlantic and Mediterranean regions. Any proposed migration would have required this warm water species to have traveled through frigid waters, in addition to great distances across open sea. Monk seals of today do not venture into the open ocean where food is scarce, but remain in small, confined areas close to land throughout their lives. The presence of marsupials in Australia is one of the strongest arguments of biogeography presented in defense of evolution. Never mentioned is the fact that another marsupial, the opossum, is native to the Americas and is not found in Australia. It is believed by geologists that the continents separated long before any marsupials existed. It remains a scientific mystery how endemic seals of Lake Baikal, located over 1,000 miles from the ocean in central Siberia, could have arrived there. Lake Baikal is believed by geologists to be the world's oldest lake. 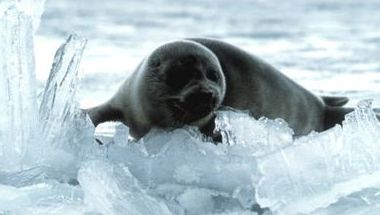 Seals are believed to have evolved from a bear-like mammal about 23 million years ago. Some have imagined that an ancient passage to the Arctic Ocean allowed a migration. However, the lake was believed to have been fully formed prior to the existence of any seals. The seals of the Caspian Sea in central Asia are also unexplained by decent from oceanic seals and migration, given the fact that the Caspian Sea has no outlets to the ocean. In discussing the enigma of how the land-locked seals of Lake Baikal and the Caspian Sea first arrived, generally studies in molecular homology are undertaken in the attempt to discern what group of seals were their ancestors. 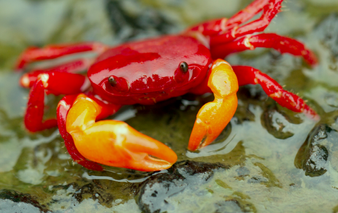 Another example that defies evolutionary explanations is the presence of freshwater crabs which are found in widely separated areas of South America, Europe, India, Madagascar and Australia. According to the fossil record, freshwater crabs evolved long after the continents separated. Since they complete their entire life cycles in fresh water and cannot tolerate sea water, it remains a mystery how similar species could have migrated to different continents. Inconsistencies with evolutionary theory such as these are generally not addressed. Because evolution is presumed to have occurred, these observations are viewed only as interesting unsolved mysteries. The fact that the geographic distribution of species continues to be presented as strong evidence of evolution underscores the weakness of the theory.